I’m going to say it very, very softly so you won’t run away. Advent starts (officially) in just under 4 weeks. See, I didn’t mention the C-word and I didn’t hum any carols. I’m just easing you into the idea. 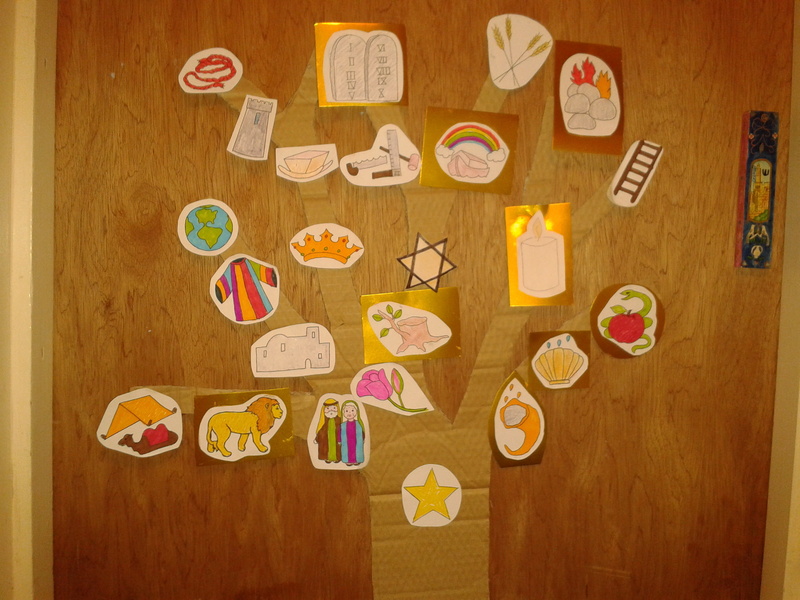 There are some lovely ways to celebrate Advent meaningfully with your small people (you can have a look at some other ideas here) but I wanted to talk to you about the Jesse Tree – my favourite part of Advent, because many folks have been asking about it. If you’re interested in the idea, I’m going to make it as easy as possible with lots of great links and ideas to save you the work but, first of all, what on earth is the Jesse Tree? Jesse was the father of King David in the Old Testament and in Isaiah 11:1, the prophetic link to Jesus is made: “A shoot will come up from the stump of Jesse,a branch will bear fruit.” During the middle ages, a motif developed in church decorations (for instance the Jesse Tree window in the Cathedral of Chartres which was dedicated in 1260) of a tree which showed Jesse at the bottom and various biblical characters in Jesus’s lineage on the branches with Jesus at the top. The Jesse Tree was also carved into doors and into stonework. In modern times, particularly in the Catholic church, the Jesse Tree has been developed into an Advent devotional with a physical tree for the home or church hung with symbols, each representing key biblical figures and with an accompanying bible reading and usually a short devotional for each one. Day 1 is usually Adam and you go from there, right through to Jesus on Christmas Day. I particularly liked the idea of my 4 year old being able to see that the bible stories she knows so well aren’t just a rag tag collection of events but that they are all part of the history of redemption, all pointing towards Jesus coming. 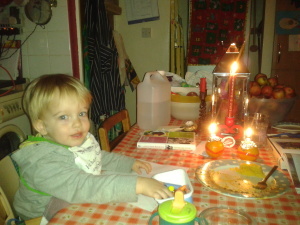 I wrote about how we decided on our focus for Advent and Christmas last year. Our teatime readings by candlelight became a beautiful focus for Advent. The tree can be a pot plant, a large twiggy branch in a pot or, like in our family, a wall hanging or poster. Don’t worry – it gels well with an Advent calendar and other activities! There isn’t a liturgy, a fixed list of symbols or a specific set of bible readings for the Jesse Tree. This is actually handy with small children. 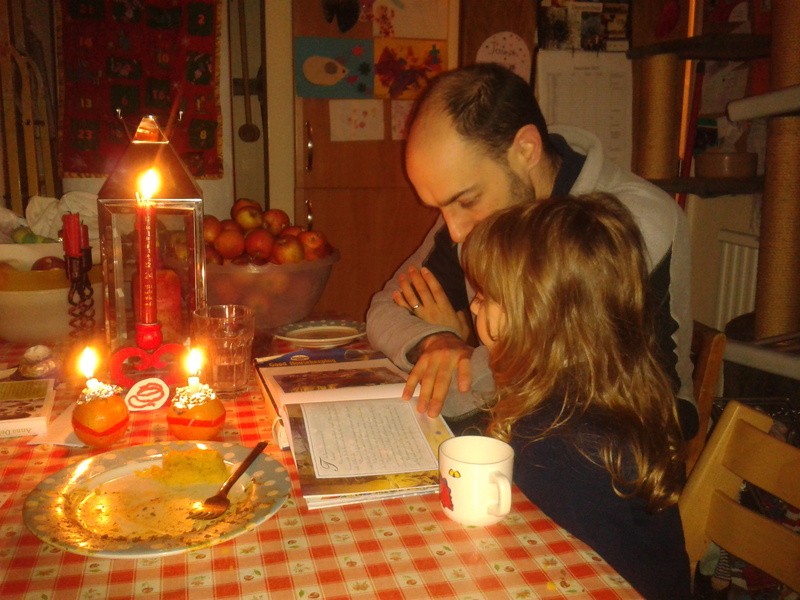 With a 4 and a 2 year old, we were , for instance, uncomfortable about reading the story of Abraham and Isaac just yet and most of the prophets are hard to find in children’s bibles, although we did read a couple from the NIV with a bit of explanation. It does mean you may need to cox and box a bit to make it work (hence a little extra time – if you have older children, it’s more plug and play). There are lots of ready made ‘kits’ on the internet, some with symbols you can print out ready to go but look through each kit carefully. One that I found had a symbol for Solomon which consisted of a screaming baby with a sword above its head (to represent the story where Solomon identifies the correct mother of a baby….in case you’re unfamiliar with the story, the baby ends up being fine!). I didn’t want to print that one out!!! Others had nice symbols but the devotionals were better for adults and many were of stories which didn’t appear in our kids’ bibles. Here are some good ones though. All of these have their own printable symbols unless otherwise mentioned. This is the set of readings and the devotionals we used last year. It works well for children from maybe 4-10 and has symbols with it although we used others. This is as plug and play as you’ll get. I wrote on each sheet where the reading was in the Beginner’s Bible. We mostly didn’t use the songs! We used the symbols from this site. I had to make two extra – a heart and a star of David – but that wasn’t hard. I coloured them in with coloured pencils and backed them with card. Some I managed to mount onto gold card too but it looked fine even though I didn’t finish that. Maybe this year! The Vicar’s Wife has a brilliant list of readings and symbols (if you’re happy making your own symbols) at this page. She has a few suggested questions for each bible reading. Handy! This set is nicely set up although doesn’t give as much flexibility or a devotional like some above. This one does contain a devotional and good symbols. These symbols are in stained glass style and include the reading for the day. If none of these suit you or if you want to see all the beautiful ways people have made Jesse trees and 3-D symbol ornaments, check out my Advent board on Pinterest. 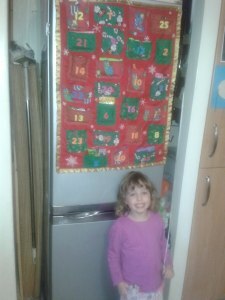 This calendar is magnetic on the back and attaches to our fridge because my sister-in-law is THAT CLEVER and very talented! I had a little think about how we would do things each evening before we tried it out the first time. We have a pocket style felt Advent calendar so we filled it as normal with chocolates and the Jesse Tree readings and symbols. Each evening at the end of the kid’s meal, the children took turns on getting out the chocolates and we’d read that days passage and devotional. 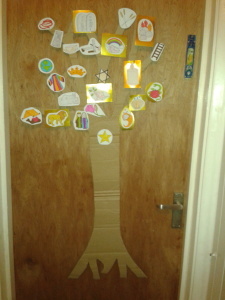 The other child put the Jesse Tree symbol onto the tree with blu-tak. (We’re all about the glamour round here!). I’d sometimes challenge Pigwig to see if she could remember each symbol, who it stood for and which order they went in. She was really good at that and was excited to show our tree to any visitors to our home. We also had a little treat or activity each day, something major like the church Nativity play or as minor as having hot chocolate and a Christmas story after school. Each day also had a small part of the Christmas preparation to spread it out, such as writing half the cards, putting up decorations or making Christmas presents. So, was Advent perfect? No, of course not. Regardless of my endless optimism and my penchant for Bing Crosby Christmas music, my family don’t live in a Disney movie and neither does yours! But did it help us prepare spiritually for Christmas, teach our children more about our faith and reduce some of the craziness and commercial focus? Absolutely! So, yes, mission accomplished. I do hope this post helps you come up with some great Advent ideas that are right for your family this year and that help you prepare for the coming of the baby in the manger. What are your hopes for Advent and what are you planning to do? 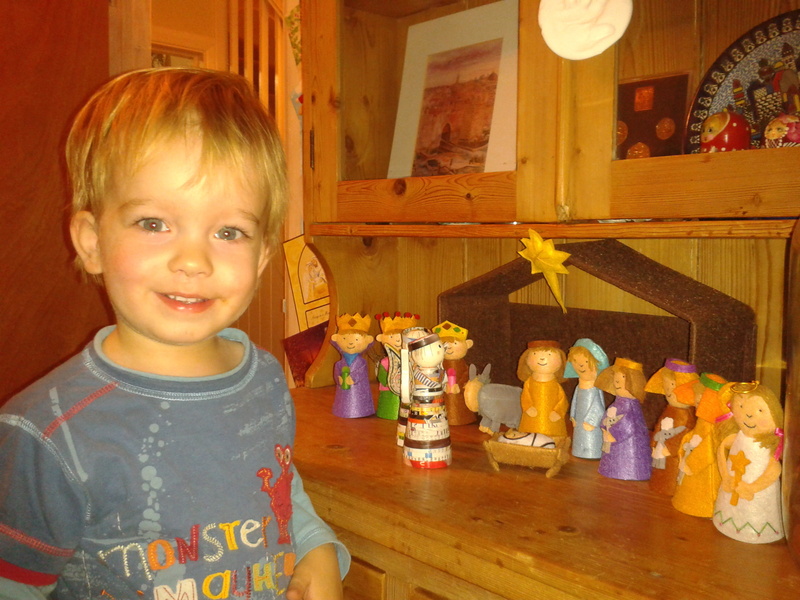 We love Advent! 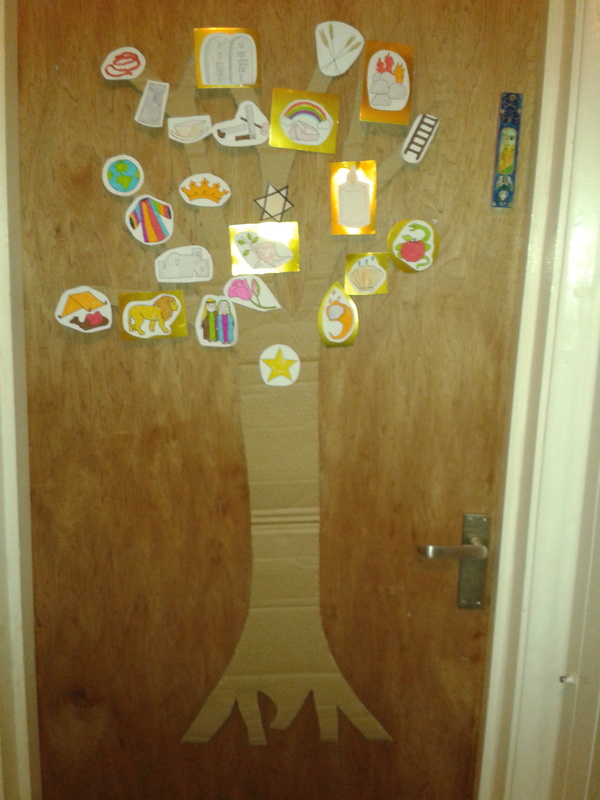 We use a modified version of the Jesse Tree idea with our youngest ones. Such a beautiful tradition! I’m still getting Page Not Found on the printables on the RCA site? Is this a broken link or a removed page? Glad you’ve found a way to modify it Heather. We thought it too complicated for very tiny children too. Jessica, the link is now fixed. They completely revamped their site a matter of days after I put this post up! Hope it works for you now!